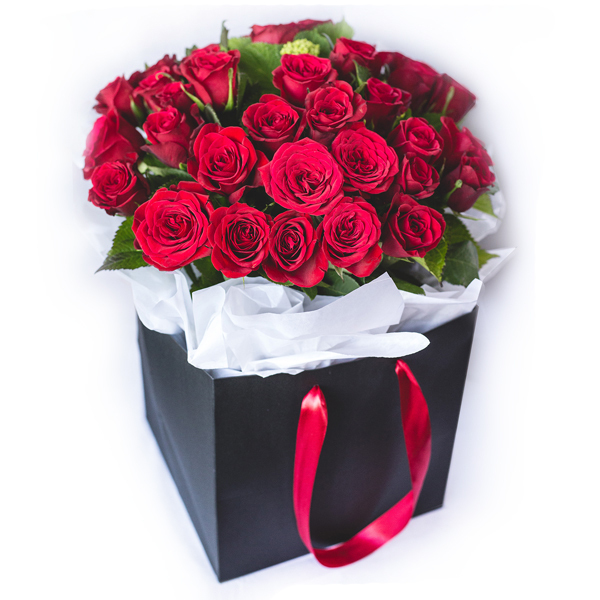 Say “I love You” with this 50 red roses bouquet, luxuriously presented in a black craft paper bag. 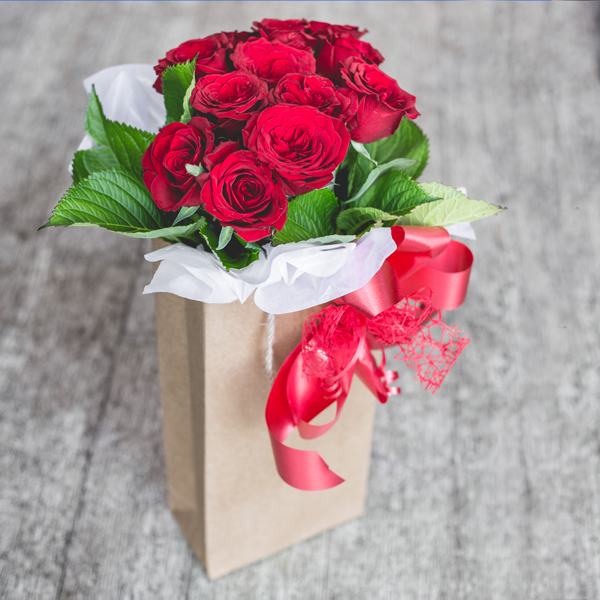 Adorned by satin ribbon handles and crispy white tissue paper. 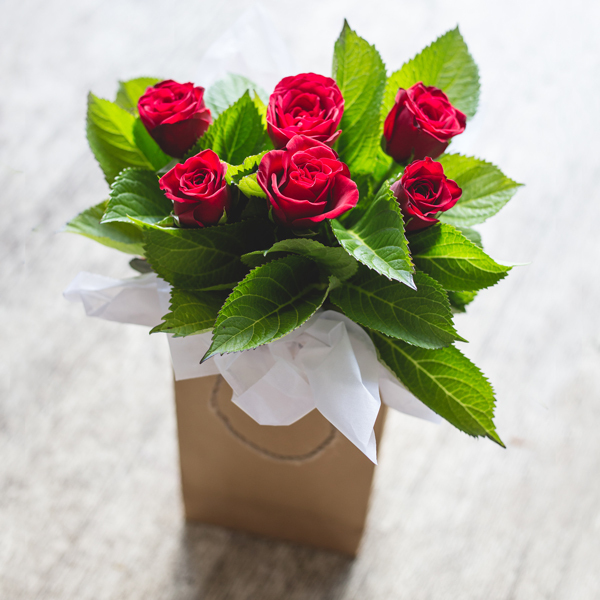 A perfect gift for Valentine's Day. 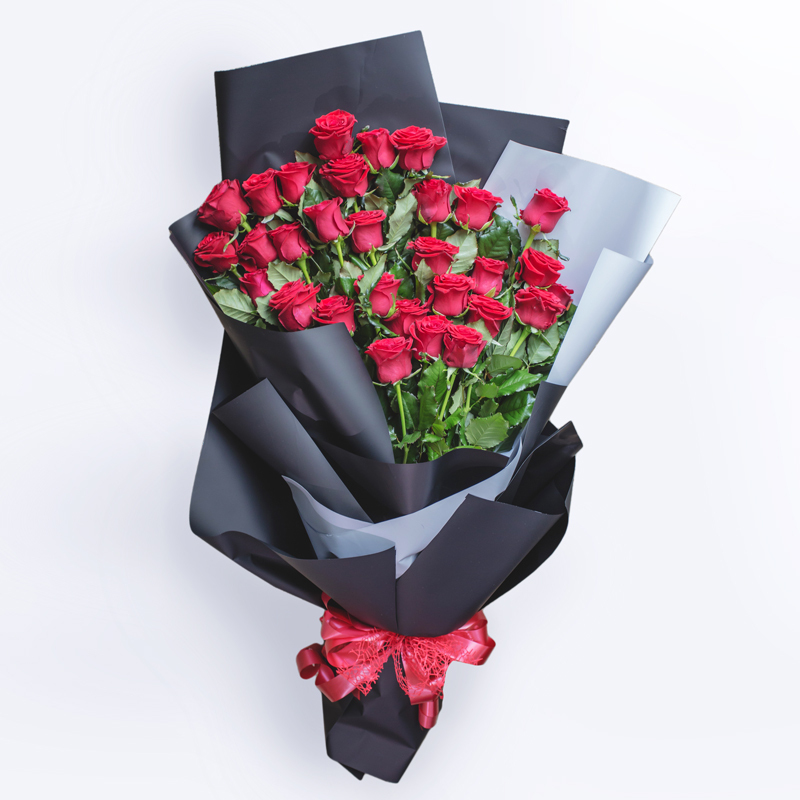 Say “I love You” with 50 red roses bouquet luxuriously presented in a black craft paper bag. 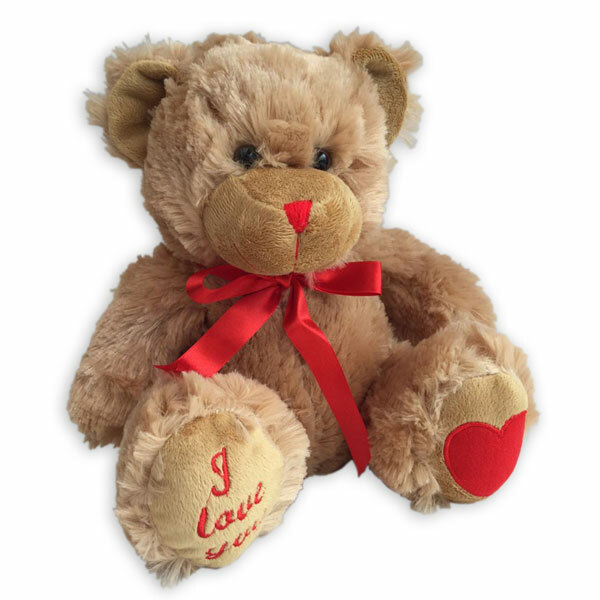 Adorned by satin ribbon handles and crispy white glassine tissue paper. Wet packaged for freshness. 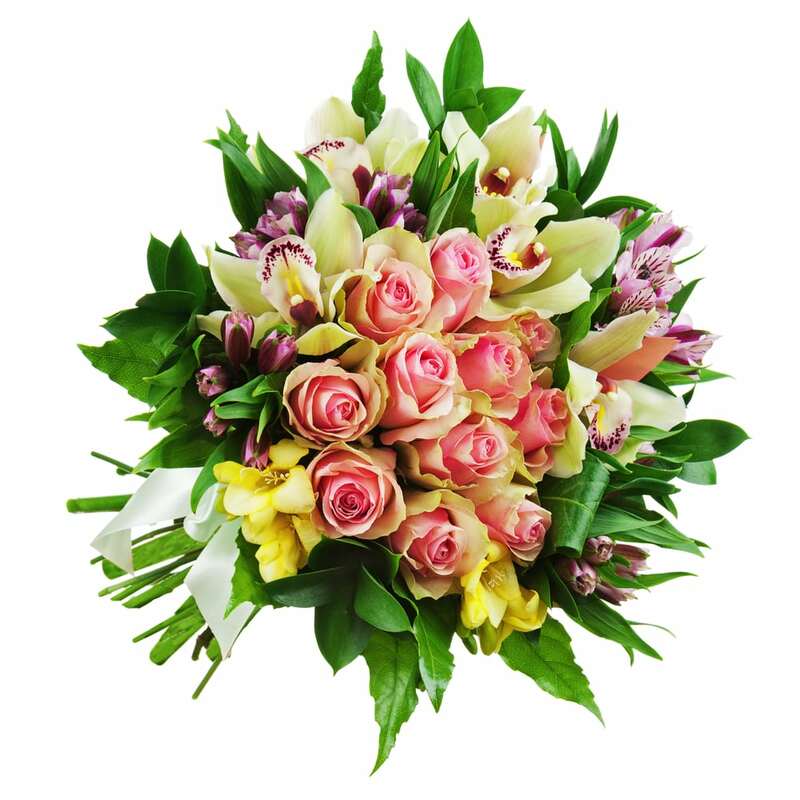 A perfect gift for Anniversary, “I am Sorry” flowers, “Miss You” or just because . This one is sure to impress.